Snow at Villa Paradiso Hotel. Dharamshala Snowfall on the city. December to February: Winters in Dharamshala are freezing, but if you enjoy the cold and snow-white mountains, then this is a beautiful time to visit. It snows here during this time and the temperature tends to dip below -1 °C. 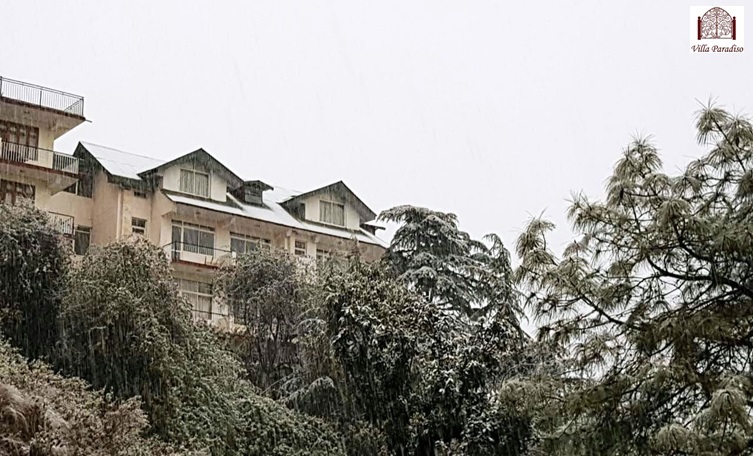 Snowfall is the best season to travel to Mcleodganj Himachal and experience the breathtaking scenes of valleys, snow capped mountains, frozen lakes and also to indulge in some winter sports activities.